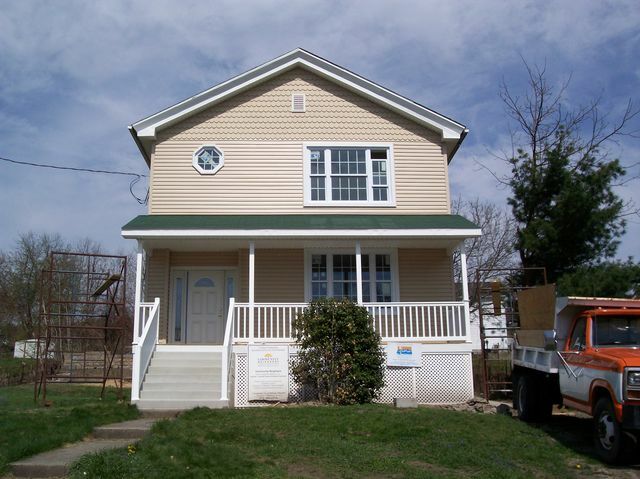 $90,000 – SALE PENDING – The rehabilitation of this home is nearly complete and it will be for sale very soon. Renovations include new vinyl siding and front porch, new Low-E Argon windows, insulation, interior and exterior doors, new 2-zone gas hot water baseboard heating, new plumbing and electrical service and designer lighting fixtures. The first floor features a new large kitchen with center island, first floor laundry and powder room, very large living/dining room and French doors to a patio. The second floor has 3 bedrooms, each with large closets and a new bathroom. The home also has a large yard, rear patio and a driveway for off-street parking. Homebuyers must be income eligible to qualify to purchase this home and also participate in Luzerne County’s Growing Homeowners Initiative. For further information on the Initiative and to obtain an application, please contact the Housing Development Corporation at 570.824.4803 (Wilkes-Barre) or 570.501.1030 (Hazleton). For further information about the home, please contact Lackawanna Neighbors/Community Neighbors at 570.963.7616 or JBadenLNI@aol.com. This project was funded witih HOME funds by the Luzerne County Office of Community Development.